DisQus has just launched their platform for blogger,wordpress,Java HTML and another platforms webmasters use. 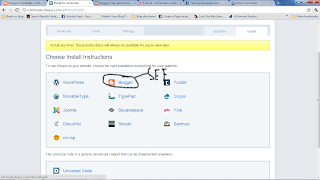 This post will teach you how to install DisQus for bloggers blogspot users. What is DisQus and how do we use it? 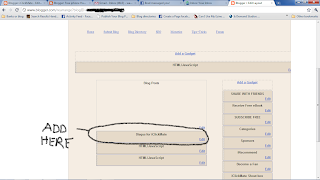 Recently i was looking for an alternative for comments on my blogspot. 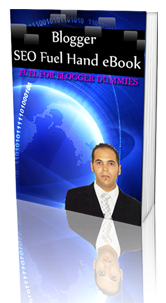 You will notice that Blogger has a very closed platform for comments, as it has options to comment only for google, LiveJournal, wordpress, AIM, Typepad and OPENid. 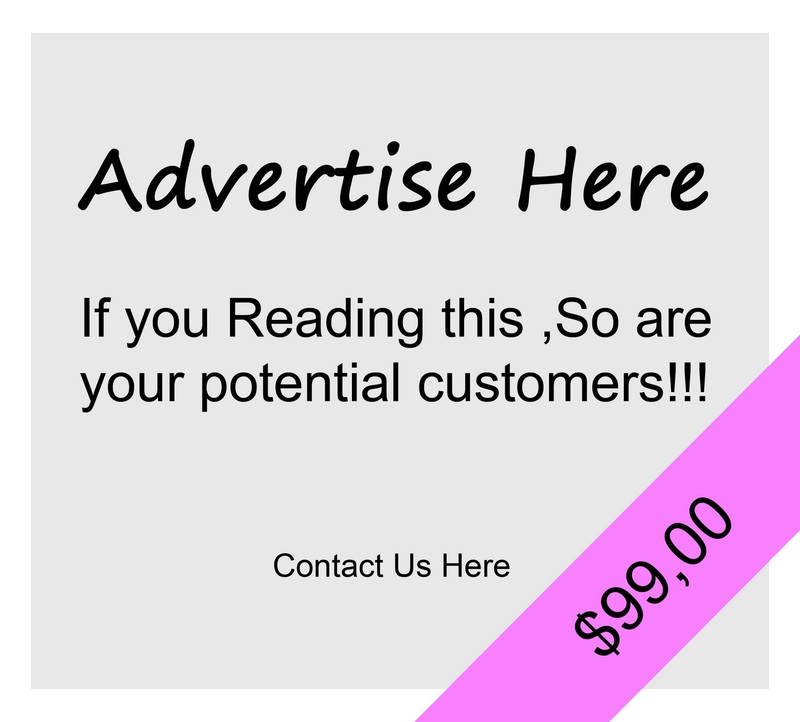 The majority of your readers will be on facebook , yahoo, google ect. 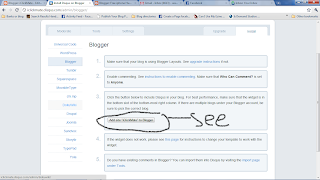 It only makes sense to provide a better way for guests to comment on your blogs. 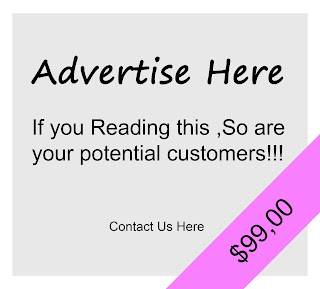 Comments are a greate way for google ranking your blog, as readers voice their opinions their comments are crawled by google making a better chance for hits in google search engine. DisQus blogger platform gives readers a way to quickly subscribe to your blog comments to stay in track with what was commented back to them. This is a rich way for readers to keep in touch over a discussion on a topic. I subscribe to every blog that i comment on other bloggers blogs, its a must do for anyone thats a reader, simply leaving a comment withouot following up would be pointless. 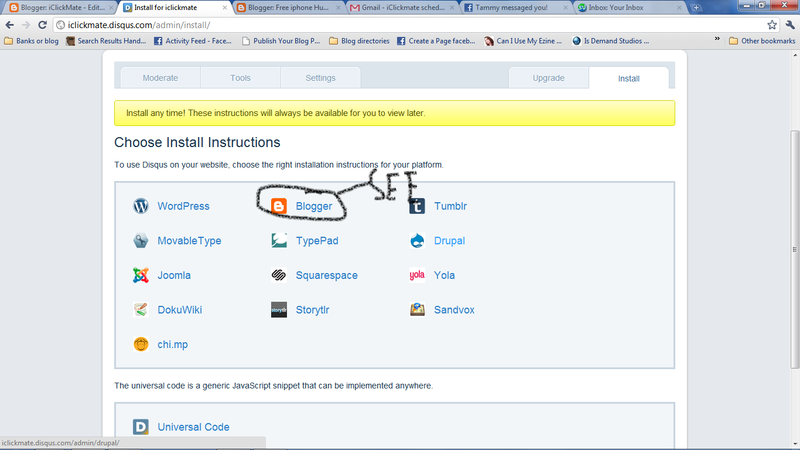 Step 1: go to DisQus.com HERE and sign up for a new account. 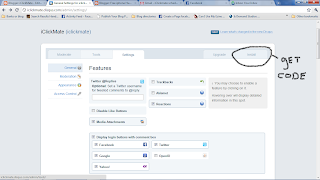 Step 2: Create different Profiles as needed for different blogs or websites. 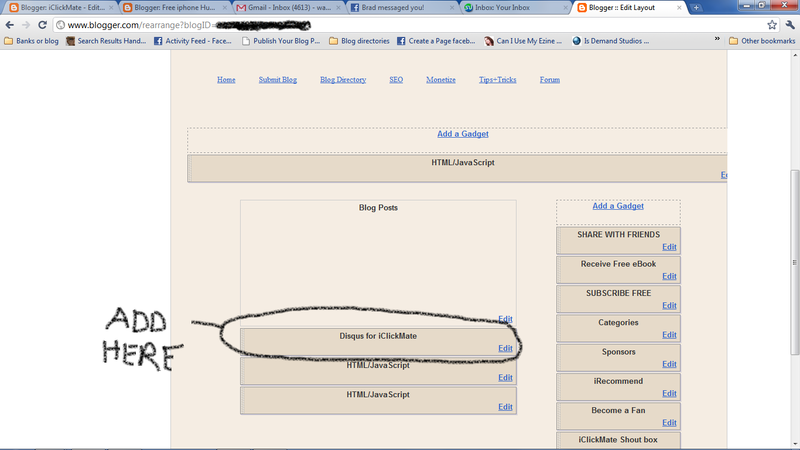 Step 6: Add widget this will lead you to page elements on blogger. Step 8: Save and view blog. 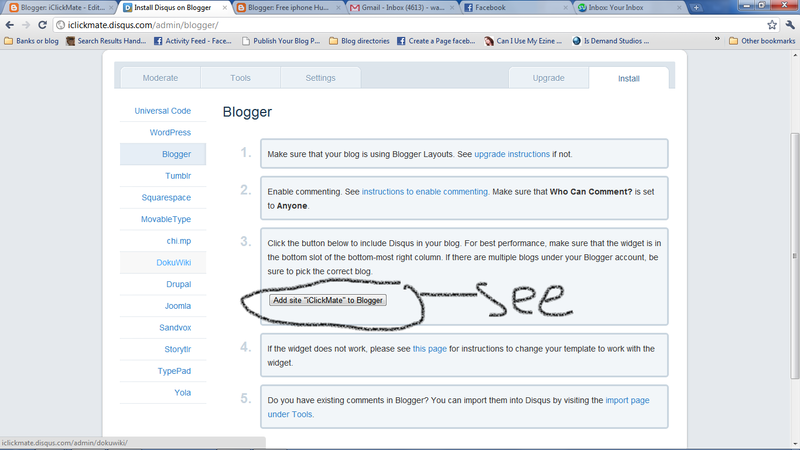 Disqus for blogger is the best commenting plugin i ahve used for blogger. 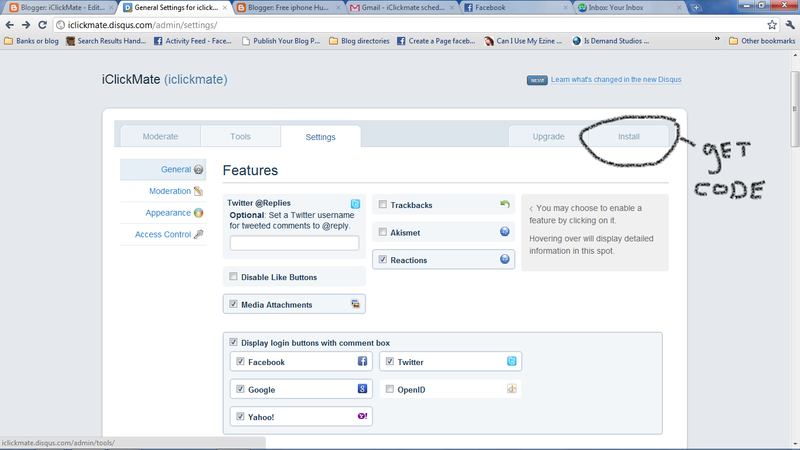 Let us know if you liked DisQus as much as us, if you did please join iClickMate fan page to view our feeds. Please feel free to test Disqus and comment on this post, Subscribe to iClickMate to get our free eBook with more tips& tricks and daily updates there after.